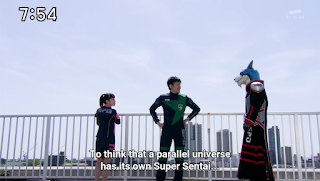 I thought my Multiverse "expose" will be over but I want to think about ways to travel across the Toei's Tokusatsu Multiverse. 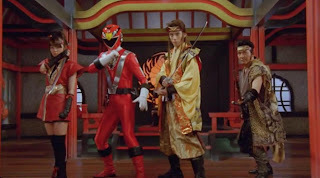 A lot of crossover movies and revealed that there's more than one Universe in Toei. Just check out how crossover movies usually present events that couldn't fit into the series' canon of both shows involved. Space 18 of Kyuranger showed the episode where the selected heroes got vacuumed into another Universe that would lead to the continuity of Gavan vs. Dekaranger. Some scientists assumed that a black hole may be a portal to another Universe. the whole episode brought the Kyuranger cast into another Earth that's not taken over by Jark Matter. In Kyuranger, entering a black hole would mean you get into another Universe instead of the possibility that you'd be pulled apart. 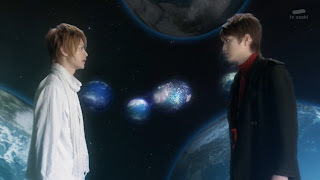 Let's look at other possibilities of traveling Toei's Tokusatsu Multiverse. 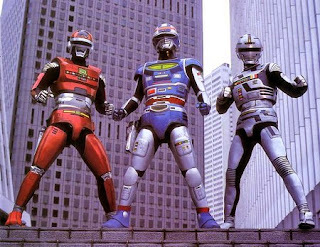 The villains of Sharivan, Shaider and Gavan take place in some other dimension namely the Makuu Space for Gavan, the Madou Space for Sharivan and the Fuuma Space for Shaider. I could assume that these foes actually belong to another Universe invading the respective Universe where the three space sheriffs exist. The enemies would create a portal that's similar to a black hole with the hopes that the monster can destroy the hero. It's highly possible that when the three Space Sheriffs battle the monsters in the strange dimension that they just left their respective Universe. How Gavan would later get involved with Dekaranger and Go-Busters is still unknown unless it's an alternate version of Gavan. Kamen Rider Black RX introduced traveling through another world. There's the Crisis homeworld where it apparently is another dimension than a planet. The Crisis Empire's Crisis Fortress travels through various dimensions. It's safe to assume that the Crisisians don't belong to the same universe as the Kamen Riders. 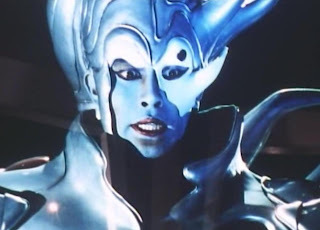 Jetman's main antagonist group the Vyram belong to the "Back Dimension" and now they're going into Jetman's Universe called "The Front Dimension". The Vyram have revealed their ability to open portals. Radiguet's blade is so sharp he could even open portals that could lead to another Universe. The Vyrock is Vyram's castle which travels between dimensions. The Abarangers have both the people of Dino Earth and the Evorians use dimensional travel technology. Dino Earth is in a parallel universe. The concept was improved from what Jetman started with the Vyram. You can use the technology of Dino Earth and the Evorians to travel through dimensions. Go-onger talks about traveling Braneworlds where the Go-on Engines create portals so they could travel from one Braneworld to another. The Gaiarc are apparently from another Universe. Santa Claus apparently comes from another Universe as far as Go-onger's treatment of the story book character is concerned. Both the Go-ongers and the Gaiarc have their technology to travel to another Braneworld. The Go-ongers apparently are in a show that travels across Multiverses. 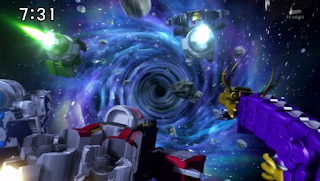 Both the Go-ongers (through their Engines) and the Gaiarc possess the ability to travel from one Universe to another. I guess Braneworld is just a fancy word for Universe. Kamen Rider Decade revealed the use of door-like portals to enter various Universes which takes the whole Hikari Studio with it. 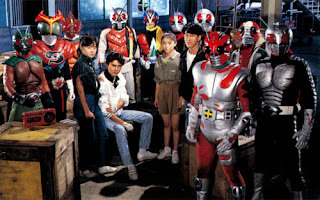 Kamen Rider Black RX was retroactively included with the other Kamen Riders. Kamen Rider Kuuga up to Kamen Rider Kiva seem to operate in their own continuity. Kamen Rider Agito can be considered as an Alternate Continuity for Kamen Rider Kuuga. Decade's house served as a portal to the Alternate Reality worlds where they reached the World of Shinkenger. In the case of Ninninger/Drive a reversal happened since the Ninningers entered into a world without Super Sentai. How the events of ToQGer vs. Gaim and how the guest roles of Kamen Rider Ghost and Zyuohger happen aren't explained. 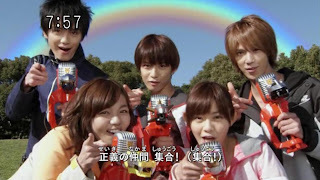 The Goseigers come from Gosei World. They use the Heaven's Tower to cross between dimensions. It's safe to say that they may be from another Universe. ToQGer apparently uses trains that could enter into various multiverses. That may explain why the ToQGers were able to meet up with Kamen Rider Gaim. Shadow Line seems to also have the same technology to travel across universes using their trains. 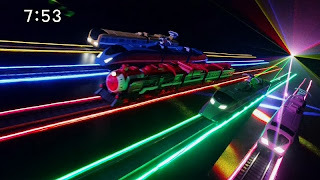 So far, this may be the best way to travel across Toei's Tokusatsu Multiverse when you're having a group tour. For ToQGer to have a crossever with Gaim I assume their train could cross an entirely different Universe. 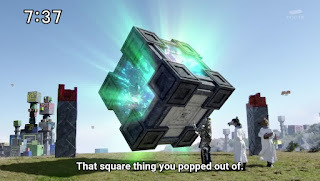 Zyuohger introduces the idea of dimensional cubes. I do feel like this is taken straight from Stargate or whatever film there was in the past. Zyuland seemed to be another Universe though it was merged back with our Universe in the finale.